yes! 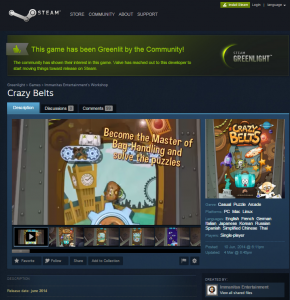 after months of hard work, finally Crazy Belts will reach Steam thanks to the marvellous Steam Community. We are preparing the integration with a new interaction technology we hope having ready together along Steam edition. This new interaction technology would allow playing the game in a different way rather than using keyboard and mouse. Somehow we want to fill the gap between Mobile Edition and PC Edition of the game and make the game appealing for those pure PC players tired of 1:1 conversion of games stright from iOS/Android . More on this in the incoming days. 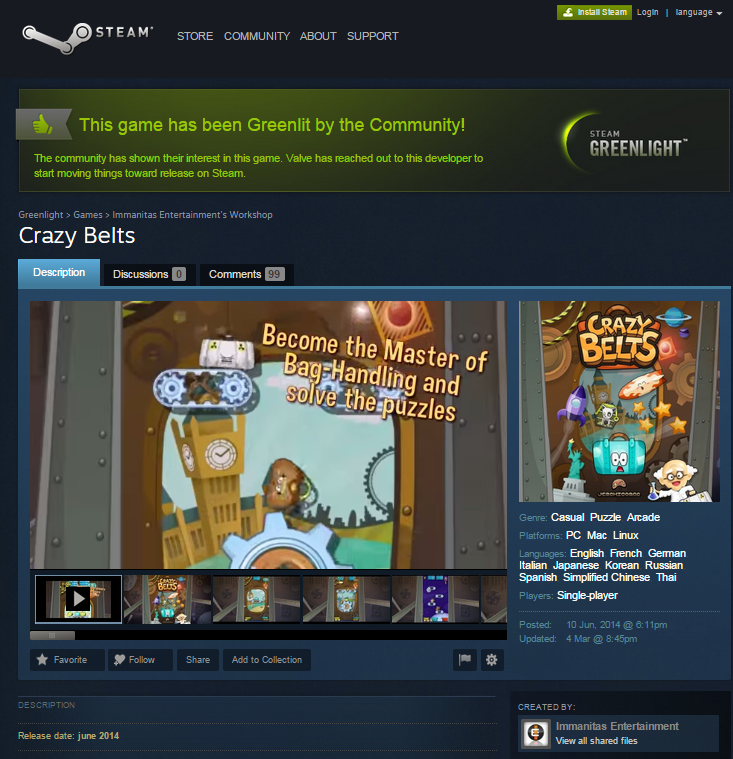 We will keep you posted and inform when the integration with with Steam is finished and ready to launch.